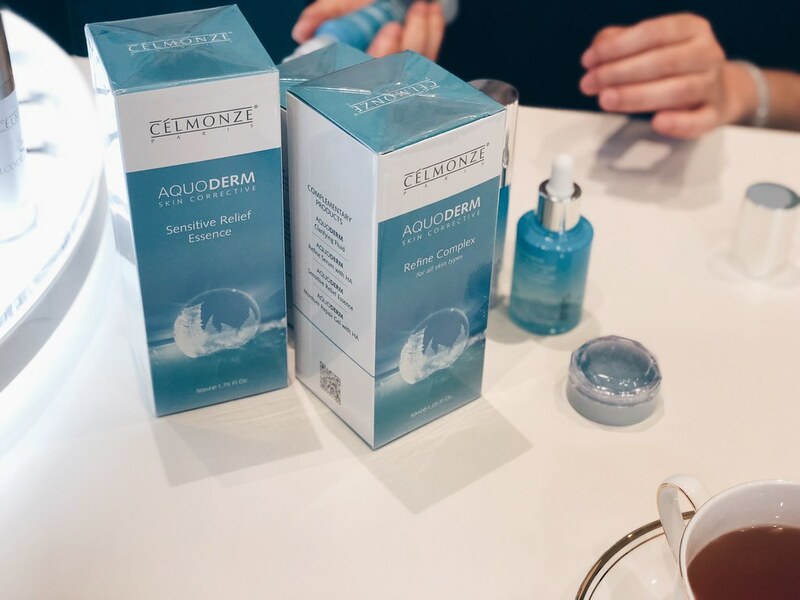 I love facials and my super thirsty skin was dying for a good hydrating treat, so I was absolutely thrilled to visit Celmonze The Signature for their innovative Aquoderm facial treatment! 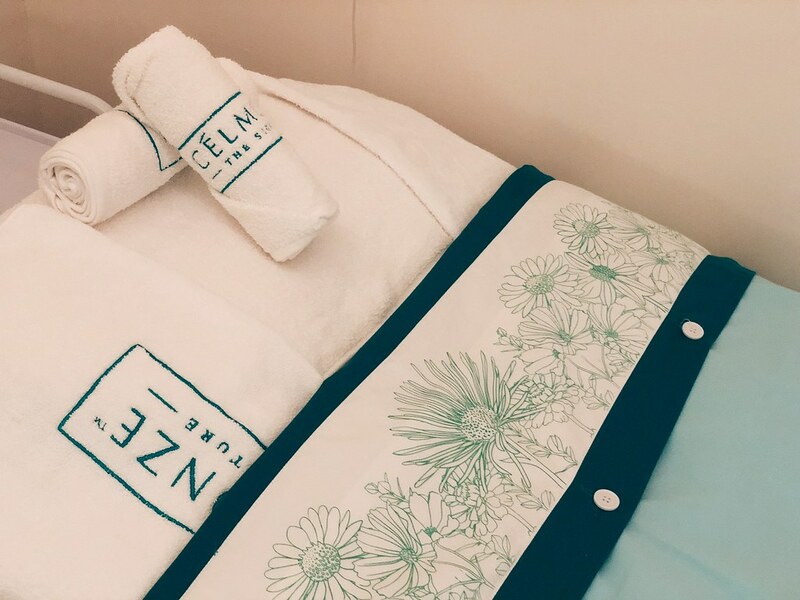 A little more about Celmonze before I take you along with how the customised facial was like; Celmonze The Signature has a whooping 31 outlets throughout Malaysia and has been in the beauty industry for more than 17 years. They provide different solutions for different skin types (check out their website to read more, they have 13 different types of solutions for 17 different skin types) and a trained skin technician will be there to answer any questions you have about your skin woes. The session started with a consultation with Grace, the friendly therapist. In a nutshell, we established that my skin is in a relatively healthy and good condition apart from the dullness and uneven skin tone (yes, biggest problem for me), occasional blemishes, slight sensitivity on my cheeks and generally dry skin. 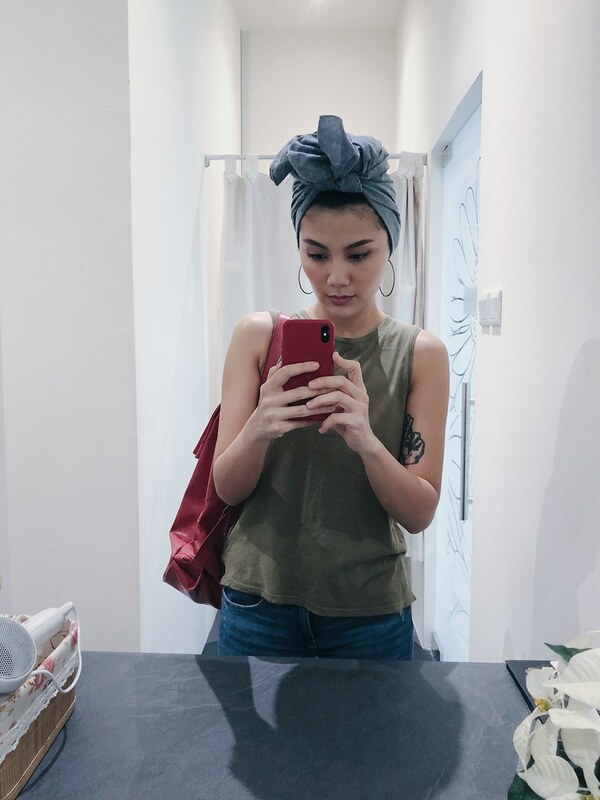 Grace couldn’t help but also commented on my dark eye rings and how she thinks Signature Facelift Massage using ICA (Ironing Crinkle Away) method will help improve the overall blood circulation and detoxification. Oh, the Signature Facelift Massage helps with lifting the face too, by setting 7 types of facial muscles! The Signature Facelift Massage is included in every Innovative Facial Treatment. I was recommended to their Aquoderm Skin Corrective Treatment. 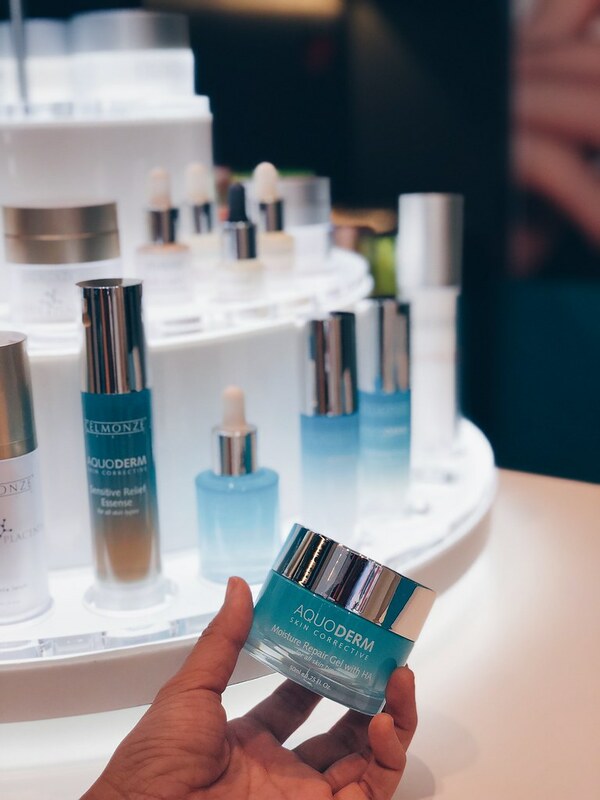 Aquoderm is a treatment for oily/acne-prone skin, dehydrated skin or sensitive skin by correcting skin’s pH through power of AQUA. A plant and water-based solution enriched with vitamin B3, Hyaluronic Acid & Lactobacillus with anti bacteria and an inflammation properties. And the end result? Healthier skin which is well-balanced and hydrated, at a neutral pH of 5.5. How does Aquoderm work for different skin types? If the user has oily/acne skin caused by overactive sebaceous gland to compensate lack of moisture, oily skin will be acidic and it will lead to acne and clogged pores. 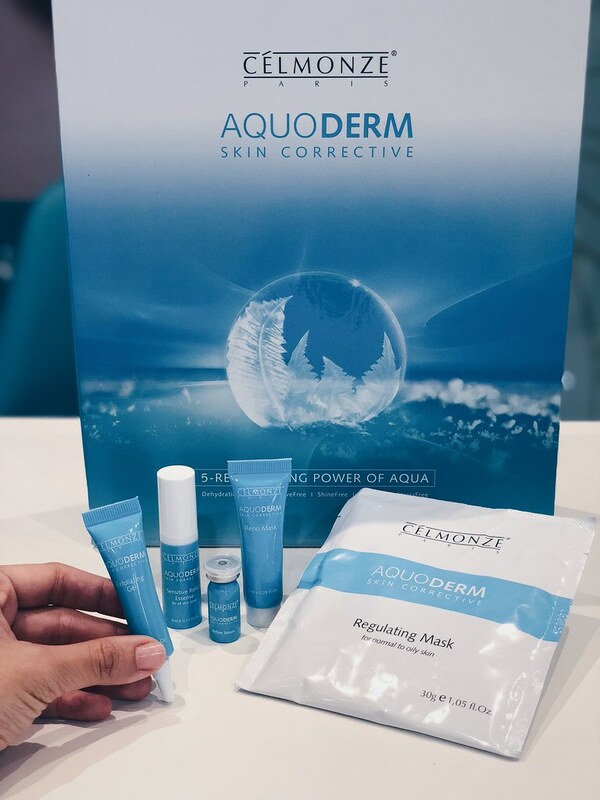 AquoDerm works by providing moisture-binding ingredient, which will restore the balance of water and sebum production resulting in less oily and acne prone skin. Sensitive skin and dehydrated skin is result of too alkaline skin, which often caused by frequent peel or exfoliation. AquoDerm rectify the skin condition by soothing sensitive skin and follow by providing moisture-binding ingredients to correct the skin’s pH. Without powerful and effective soothing ingredients, “angry skin” wouldn’t be able to absorb the moisture and skin will remain sensitive and unresolved. The Aquoderm Treatment starts with cleansing, exfoliation and extraction. Here is me all cosy and wrapped up (looks a little like a Pope outfit, but ok, that’s besides the point. I’m sorry haha). My left cheek is a little red because it’s pretty sensitive over there. My dark eye rings are also beyond hope. I’ve always been terrified of extraction during a facial because it really leaves me in tears after that, but my therapist (I’ll include her photo later!) is super skilled; the extraction was almost painless and very thorough. 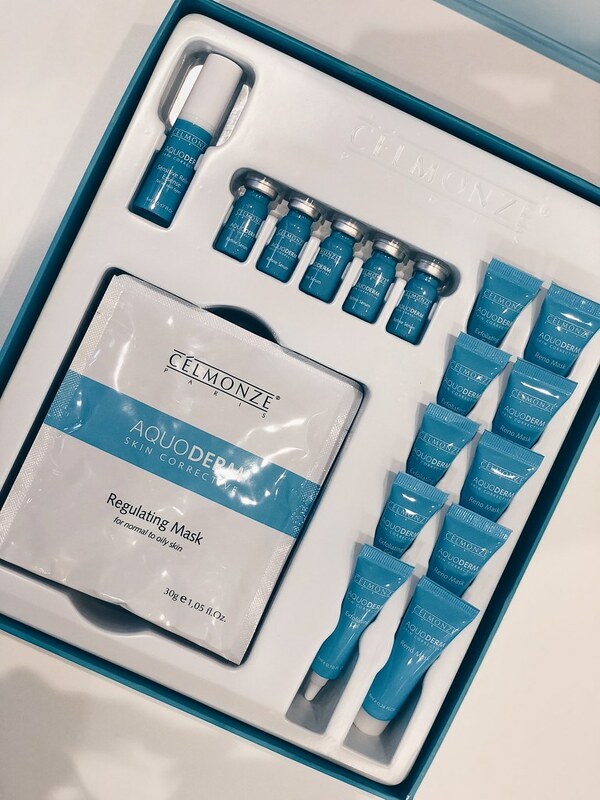 The first mask application sets out to rejuvenate the skin while hydrating. 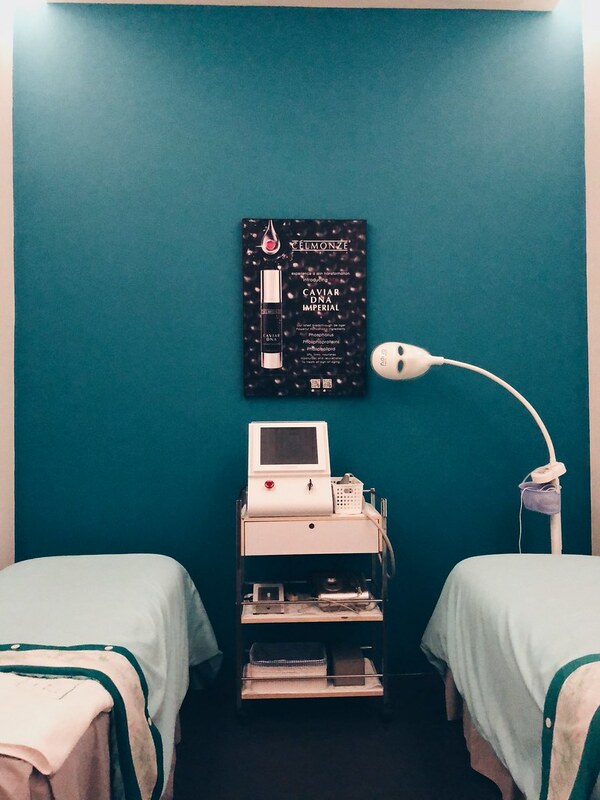 This is also accompanied by their 15 minutes Signature Facelift Massage to encourage better absorption of the products, improves circulation and it also comes with instant lift benefits! My therapist was very experienced, and she also did the Facelift Massage on one side of my face first to show me the Before/After (which I stupidly didn’t photograph!). The jawline appeared slightly tighter on the side she worked on. She also spent more time around my eyes, commenting that the dark eye rings is a result of bad blood circulation around that area. On the whole, very pleasant and comfortable experience. Here is how it was like before I start the second part of the treatment where my skin get a good “drinking session”! The second mask refines pores, reduces marks, repairs and purifies skin against bacteria. 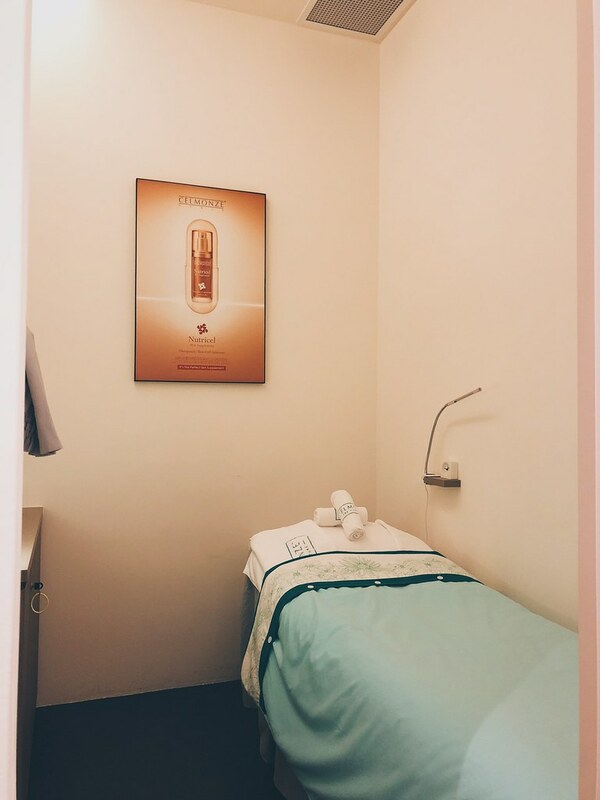 The AquoDerm treatment will end with AquoDerm Refine Serum, which is an intensive serum that penetrates deeply to clarify-away a broad range of skin crisis like acne, pimple, blackheads, and oily or dry skin and followed by sunblock (OH I LOVE THEIR SUNBLOCK) application. It was so relaxing, IT. PUTS. ME. TO. SLEEP. ALMOST. INSTANTLY. I know it might just looks like it’s shiny. This photo is pretty unflattering but it is an honest representation of my actual skin condition. (Oh by the way, all the photos of my skin are unedited with no filters yeah?) 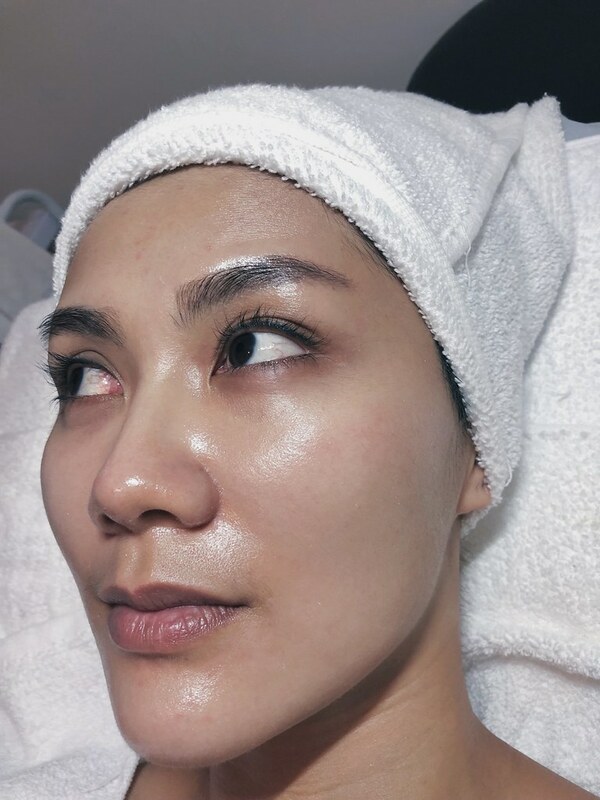 My skin really felt a lot more supple and refreshed after the hour-long treatment. All the blackheads on my nose and cheek area were also quietly murdered by my therapist (Well done! Heh!). If you look closely, you can also see the slight marks under my eye which was a result of the Signature Facelift Massage. But they disappeared towards the end of the day. The redness on the cheek looked less pronounced too, thanks to the soothing ingredients of AquoDerm treatment. They have a whole range of hydrating products also called Aquoderm Skin Corrective. These are great for individuals with dehydrated and sensitive skin. The texture is MAD light, it really almost disintegrates into water once it touches the skin. And another star of my facial, my therapist! Thank you so much! Heartland Mall Kovan, 205, Hougang Street 21, #03-10 Singpore 530205. Winners will be notified by 31 January 2018. Contest ends 15 January 2018. 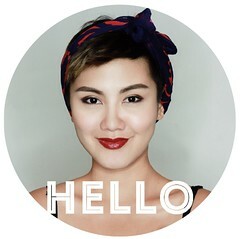 Really I love your beauty blog. It’s very useful fro me. thanks. hey where’d u get your head band from? So pretty !